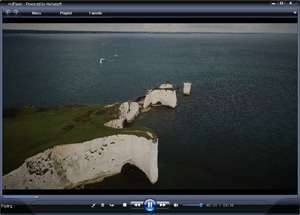 HUPlayer is an interesting application that was created to play audio and video files, as well as DVD discs from a PC's optical drive or virtual mount. The program layout is rather simple and makes playing video files simple. HUPlayer provides a bunch of different customization and settings for playing files including the ability to bypass DRM-X protection and specific hardware acceleration for hardware that it supports. Main menu items and options within HUPlayer are accessible from either the top menu or by right-clicking the currently active video file. Version 1.0.6.1v is a freeware program which does not have restrictions and it's free so it doesn't cost anything. For security reasons, you should also check out the HUPlayer download at LO4D.com which includes virus and malware tests. Additional screenshots of this application download may be available, too.